Kaisa started playing the baroque harp while studying early music at The University of Applied Sciences in Helsinki. 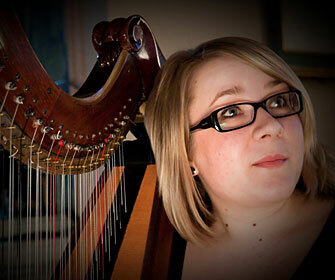 After finishing her degree in 2010, she moved to London to study early harps with Prof. Andrew Lawrence-King at the Guildhall School of Music and Drama. The Finnish Cultural Foundation and the Jenny and Antti Wihuri Foundation have generously supported her studies. Kaisa regularly works with groups such as Poeticall Musicke, the Amadè Players and Bagatino, performing on both the harp and recorders. Recent highlights of her career have included performances at the Renaissance Festival in Yehiam (Israel) and the Echi Lontani Festival in Cagliari (Sardinia). © Royal Baroque. All rights reserved. Site build: Dave Baker.